Stephanie LeMenager is Barbara and Carlisle Moore Professor of English and Professor of Environmental Studies at the University of Oregon. Her publications include the books Living Oil: Petroleum Culture in the American Century (2014), Manifest and Other Destinies (2005), and Environmental Criticism for the Twenty-First Century (2011). Her co-edited collection Teaching Climate Change in the Humanities addresses climate change pedagogy and her forthcoming Bloomsbury four-volume collection, Literature and Environment, offers a history of the interdisciplinary field of the environmental humanities through the one hundred most influential published articles in the field. 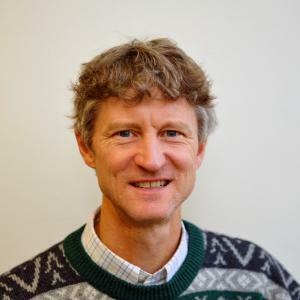 LeMenager is a founding editor and current advisory board member of Resilience: A Journal of the Environmental Humanities, the first Environmental Humanities journal to be based in the United States. She is a recent recipient of the Radcliffe Institute Fellowship for Advanced Study, where she began writing her latest book, about climate change, fiction, and lies. Her work has been featured in The New York Times, Time magazine, Climate Wire, and on CBC radio and NPR. 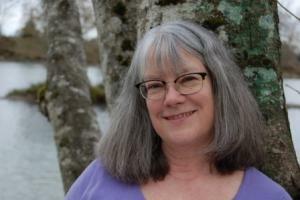 Marsha Weisiger is the Julie and Rocky Dixon Chair of U.S. Western History and an associate professor of history and environmental studies at the University of Oregon. Her scholarship focuses primarily on the environmental history of the American West. She is the author of Dreaming of Sheep in Navajo Country (University of Washington Press, 2009) which won four awards, including the Norris and Carol Hundley Award and the Hal Rothman Book Award, and Land of Plenty: Oklahomans in the Cotton Fields of Arizona, 1933-1942 (University of Oklahoma Press, 1995), which won the Angie Debo Prize. She has also written on wolf reintroduction, gendering environmental history, environmental justice, and architectural history. Her work has received two faculty research fellowships from the National Endowment for the Humanities, a Burkhardt Fellowship from the American Council of Learned Societies, and a King Fellowship from the Clements Center for Southwest Studies. She is a Distinguished Lecturer for the Organization of American Historians and co-founder and co-coordinator of the Cascadia Environmental History Collaborative. 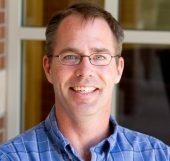 Mark Carey is Professor of History and Environmental Studies in the Robert D. Clark Honors College, University of Oregon. His work links environmental history and the history of science through studies of climate change, glacier-society interactions, water resource management, natural disasters, and mountaineering—particularly in the Andes and Polar Regions. He co-edited The High-Mountain Cryosphere: Environmental Changes and Human Risks (Cambridge, 2015). His other books are: Glaciares, cambio climático y desastres naturales: Ciencia y sociedad en el Perú (IFEA/IEP, 2014); and In the Shadow of Melting Glaciers: Climate Change and Andean Society (Oxford, 2010), which won the Elinor Melville Award for the best book on Latin American environmental history. He has also published nearly 40 peer-reviewed articles and book chapters, and has received four National Science Foundation grants over the last decade. 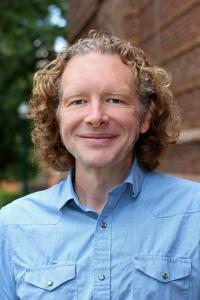 He runs the Glacier Lab for the Study of Ice and Society at the University of Oregon. 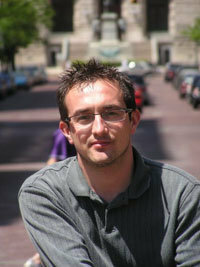 Nicolae Morar is an Assistant Professor of Philosophy and Environmental Studies at the University of Oregon. Dr. Morar’s research interests lie at the intersection of biology, ecology, and bioethics (especially biomedical, genethics, environmental, and research ethics). His work provides an inquiry into how various conceptual analyses in philosophy of biology and ecology influence and transform debates in bioethics, and in ethics broadly construed. As a Co-PI on the grant “Biodiversity at Twenty-Five: The Problem of Ecological Proxy Values”, his collaborative research has provided a critical assessment of the normative role of biodiversity in environmental ethics debates. Dr. Morar has several on-going projects concerning the role of biology and genetics in applied ethics, as well as the role emotions (especially, disgust) play in normative debates in our society. He is particularly interested in how new microbiological conceptions of human organisms and current biotechnologies are altering traditional conceptions of human nature. 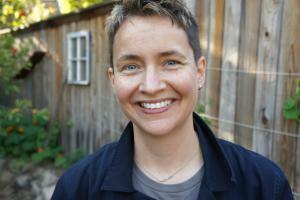 Brook Muller is Professor of Architecture at the University of Oregon. 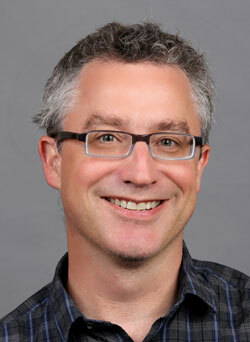 He also directs UO’s Portland Architecture Program and the Graduate Certificate Program in Ecological Design. Brook’s research addresses the intersection of ecological infrastructure and water-centric architectural design. From 1993-1996, Brook worked with Behnisch Architects in Stuttgart, Germany, serving as co-project leader on the IBN Institute for Nature Research, a European Union pilot project for human and environmentally friendly building. Brook is the author of Ecology and the Architectural Imagination (Routledge 2014). He served as Interim Dean of University of Oregon’s School of Architecture and Allied Arts from 2014-2016. 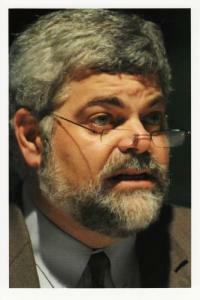 Scott L. Pratt is Professor of Philosophy and Vice Provost and Executive Vice Provosts for Academic Affairs. His research and teaching interests are in American philosophy (including pragmatism, America feminism, philosophies of race, and Native American philosophy), philosophy of education, and the history of logic. He is coauthor of American Philosophy from Wounded Knee the Present (Bloomsbury, 2015), a comprehensive history of philosophy in North America from 1890 to the present, and author of two books including Native Pragmatism: Rethinking the Roots of American Philosophy (Indiana University Press, 2002) on the influence of Native American thought on European American philosophy. He is co-editor of four volumes including American Philosophies: An Anthology (Blackwell, 2002). He has published articles on the philosophy of pluralism, Dewey’s theory of inquiry, the philosophy of education, Josiah Royce’s logic, and on the intersection of American philosophy and the philosophies of indigenous North American peoples. Laura Pulido is a Professor in the departments of Ethnic Studies and Geography where she studies and teaches environmental justice, critical ethnic studies, radical tourism, and landscapes of cultural memory. She is the author of numerous books, including Environmentalism and Economic Justice: Two Chicano Struggles in the Southwest (University of Arizona 1996); Black, Brown, Yellow and Left: Radical Activism in Los Angeles (University of California 2006), and A People’s Guide to Los Angeles, with Laura Barraclough and Wendy Cheng (University of California 2012). Within environmental justice she has focused on three specific, but related topics. First, her early work centered on how working-class communities of color defined and mobilized around environmental issues. She subsequently explored the various ways that racism functions within urban landscapes to create environmental inequality, and most recently, she has investigated environmental regulatory failure as a function of racial capitalism. Gordon Sayre specializes in colonial and early American studies in French and English, indigenous American literature, autobiography and translation. He also teaches courses in car cultures and automobility. He is participating faculty in Environmental Studies and Folklore. Sayre is author, editor, or translator of five books, including the award-winning translation, The Memoir of Lieutenant Dumont, 1715-1747: A Sojourner in the French Atlantic, by Jean-François-Benjamin Dumont de Montigny (2012), and The Indian Chief as Tragic Hero: Native Resistance and the Literatures of America, from Moctezuma to Tecumseh (2005). David J. Vázquez is Associate Professor and Head of English and affiliate faculty in the Ethnic Studies Department and the Program in Environmental Studies at the University of Oregon. He is the author of Triangulations: Narrative Strategies for Navigating Latino Identity (Minnesota, 2011) and co-editor of Latinx Literary Environmentalisms: Justice, Place, and the Decolonial (Temple, forthcoming). His work has appeared in journals such as Symbolism, Contemporary Literature, CENTRO and Latino Studies. 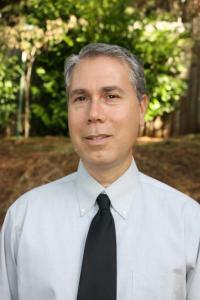 In addition to his current affiliations, he is a former director of the Center for Latina/o and Latin American Studies at the University of Oregon and a past fellow at the Institute for Humanities Research at Arizona State University and at the Oregon Humanities Center at the University of Oregon. He is currently working on a new book project that considers the intersections of Latinx studies, experimental fiction, and the environmental humanities. 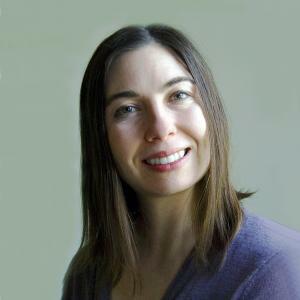 Sarah D. Wald is Associate Professor of Environmental Studies and English at University of Oregon. Her research focuses on the intersections of environmental studies and ethnic studies in 20th and 21st century U.S. literature and culture with a particular interest in Latinx and Asian American literature and culture. 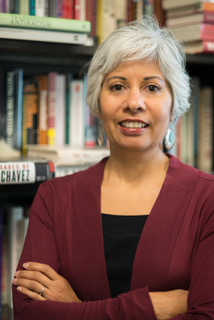 She is the author of The Nature of California: Race, Citizenship, and Farming since the Dustbowl (University of Washington Press, 2016) and co-editor of Latinx Literary Environmentalisms: Justice, Place, and the Decolonial (under contract with Temple UP). She is currently working on a monograph on diversity initiatives among public land advocates. She has published in Diálogo, Western American Literature, and Food, Culture, and Society as well as in several edited collections including Asian American Literature and the Environment, American Studies, Ecocriticism, and Citizenship, and Service Learning and Literary Studies in English. She is committed to community-engaged teaching and publicly-engaged scholarship, working closely with community organizations in teaching and public programming. Richard York is Director and Professor of Environmental Studies and Professor of Sociology at the University of Oregon. He does both theoretical and empirical work in the areas of environmental sociology, ecological economics, animal studies, and the sociology of science. He is Chair-Elect of the Section on Animals and Society of the American Sociological Association (ASA) and was the 2013-14 Friends of the Institute for Advanced Study Member of the School of Social Science at the Institute for Advanced Study, the Chair of the Environment and Technology Section (ETS) of the ASA in 2013-14, and the Co-Editor of the journal Organization & Environment from 2006 to 2012. He has published three books and over 60 peer-reviewed articles. He has received the Fredrick H. Buttel Distinguished Contribution Award (2017) for lifetime achievement, the Teaching and Mentorship Award (2011), and the Outstanding Publication Award twice (2004 and 2007) from the ETS of the ASA; the Gerald L. Young Book Award in Human Ecology from the Society for Human Ecology; the Rural Sociology Best Paper Award (2011) from the Rural Sociological Society; the Distinguished Scholarship Award from the Section on Animals & Society of the ASA (2015); and the Honorable Mention for the Lewis A. Coser Award for Theoretical Agenda Setting from the Theory Section of the ASA.